Does your IT service desk lose time due to extra communication because of incomplete error reports? 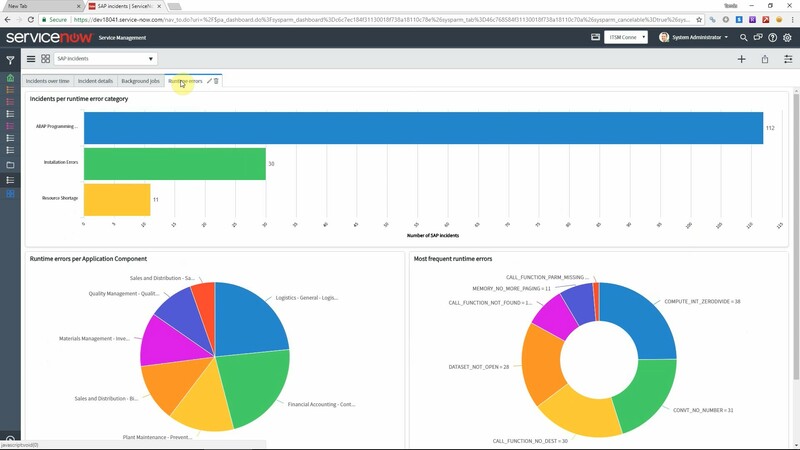 Now we have a convenient solution for you to display all SAP-specific information in ServiceNow so your support technicians do not have to to waste time to clarify all the details of the problem. 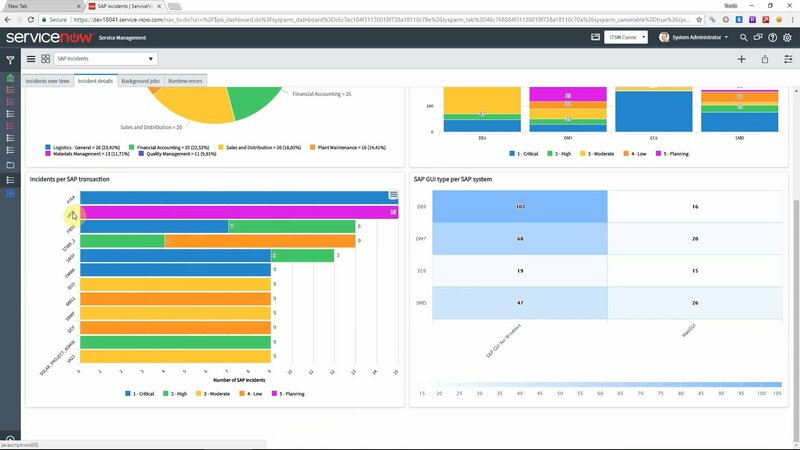 Additionally, having all technical details saved to ServiceNow tables, you can do advanced analytics of your SAP incidents using the capabilities of standard ServiceNow reports and dashboards. 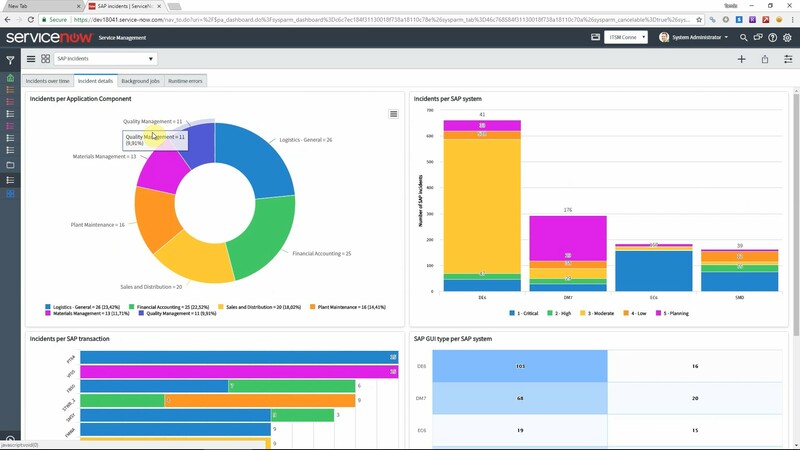 The app is available as a free download from the ServiceNow Store. In addition to our SAP add-on we have developed a ServiceNow application that allows to add all SAP-related details to your incidents. This includes all technical details (like SAP system, program and user details) as well as the business context (all screen field values). Once you have all this information available directly from the incident screen, much less communication is required between the caller and the assigned support expert. This scoped application provides a REST API endpoint that can be called to store all this information. 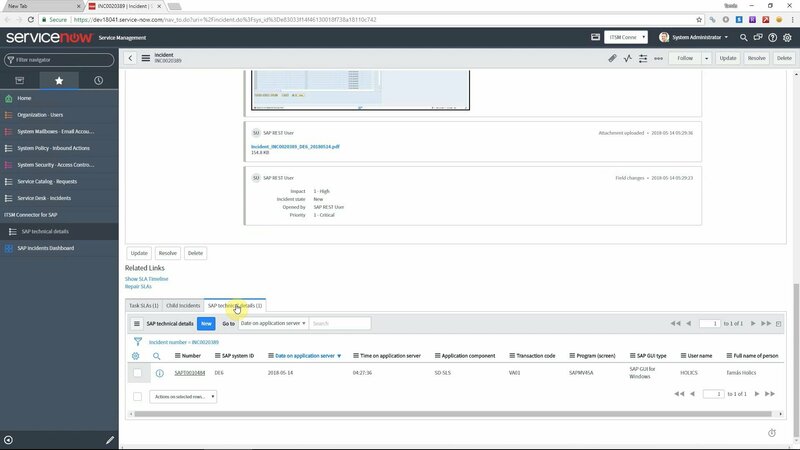 Naturally our SAP add-on already contains this feature so you can create ServiceNow incidents directly from SAP and get your ServiceNow tables populated. 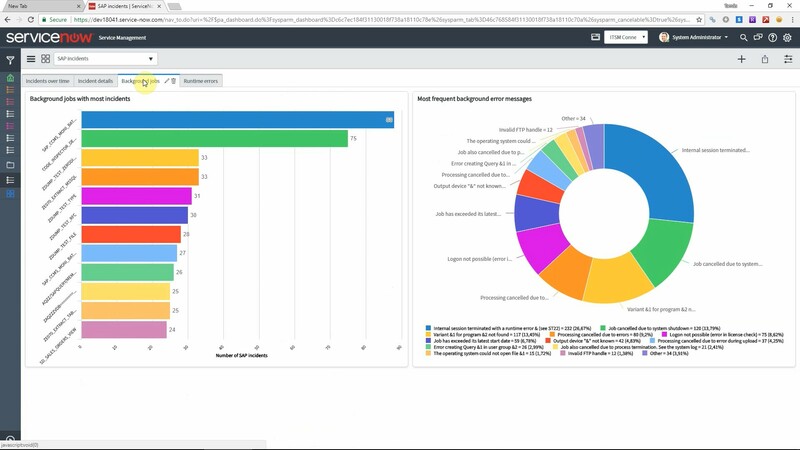 Another great result of having all this data in ServiceNow is that you can use the built-in reporting and dashboarding features of ServiceNow. You can blend the information from standard tables (incidents etc.) 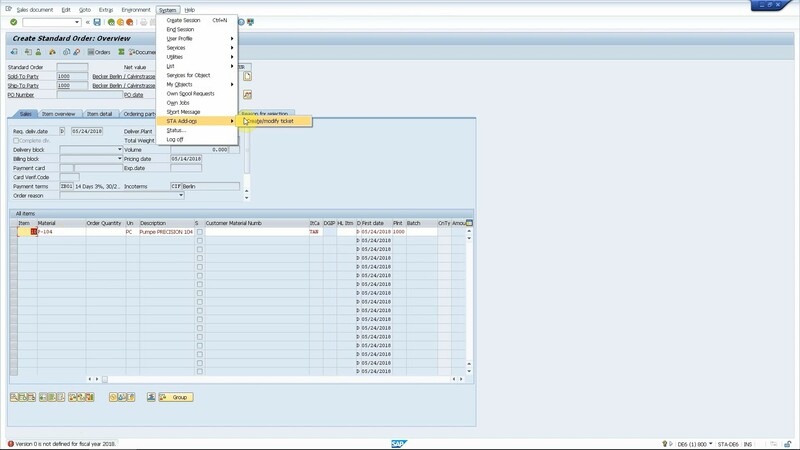 and the custom tables that hold SAP data. 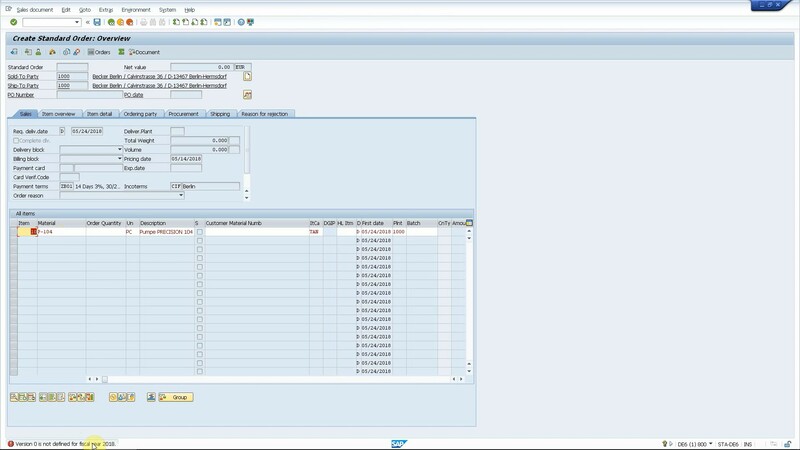 This provides you the possibility to analyze your SAP incident flow like never before. 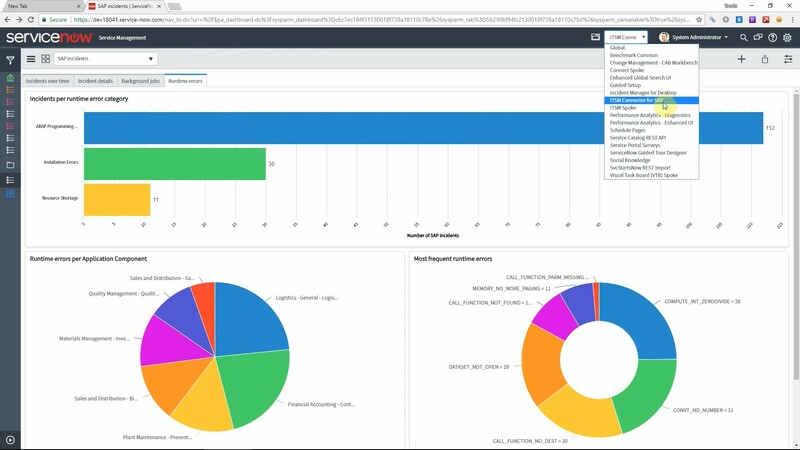 We deliver preconfigured reports and dashboards so you can get instant insights into your SAP incident flow. Incidents per system, component etc. Since ServiceNow introduced the application scope concept, installation is very easy and safe. Our product is delivered in its own namespace and follows the usual application lifecycle – deployment first in the development system and then in test and production systems. 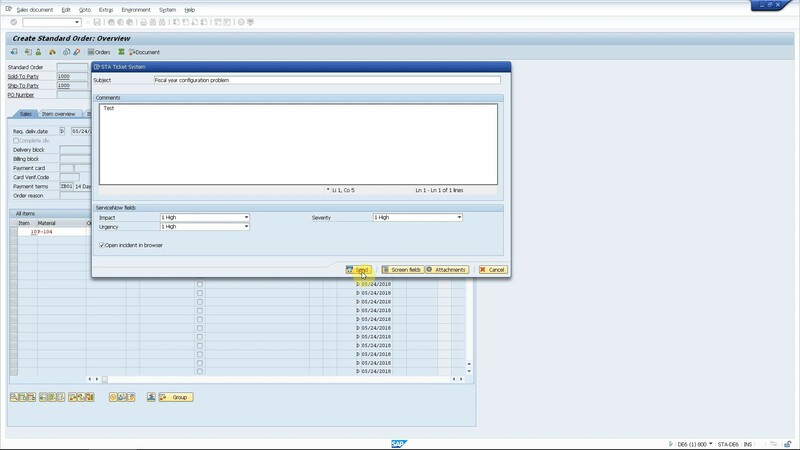 There are advantages for all parties involved in SAP incident handling. Support technicians can spend more time on actually solving problems than clarifying all missing details with the users who report the incidents. 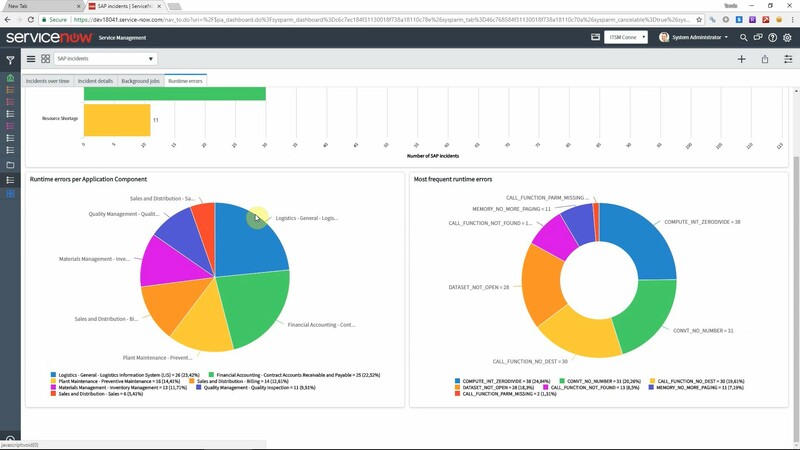 IT support team leads can analyze SAP-related incidents using a modern BI platform that ServiceNow provides. 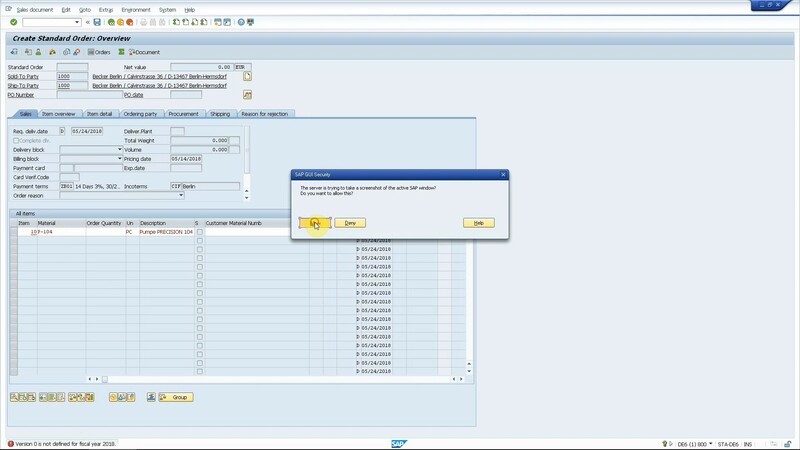 SAP end users can spare time too due to the quick and convenient ticket creation from the SAP user interface. Most importantly, everybody will be happy to see an improvement of KPIs because of all these benefits. Get an overview of the solution by watching the video below. Get the certified app from the ServiceNow Store.